Last Sunday, my husband and I went to the SM Mall of Asia to treat my mother-in-law to a post Mother's Day lunch. 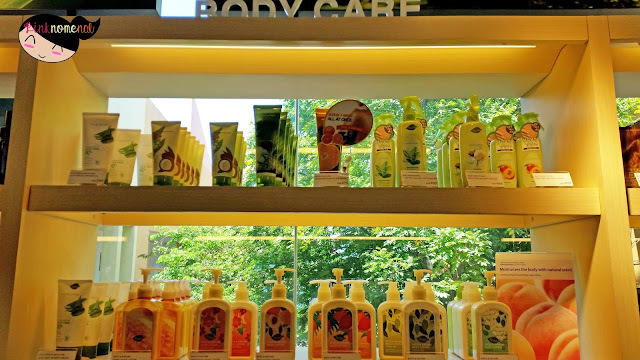 While waiting, I decided to scout the mall for a new toner as I've already emptied my Mamonde Rose Water and buying another one will take a month to be delivered. I considered going to Laneige to buy the Clear C Advanced Effector which I've read good reviews on but then decided to check other options. I came upon this new Korean make-up store that was placed in what used to be Too Cool For School's stall. I was so happy to see EXO Kai and Baekhyun standing inside a brightly-lit store. 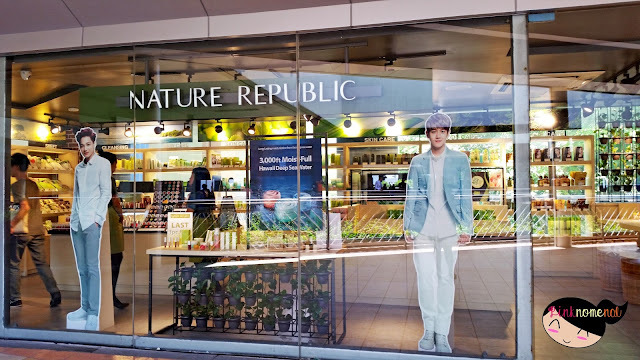 Nature Republic is already at the SM Mall of Asia! I used to go to their Festival Mall and SM North EDSA branch to buy but now, they're more accessible. 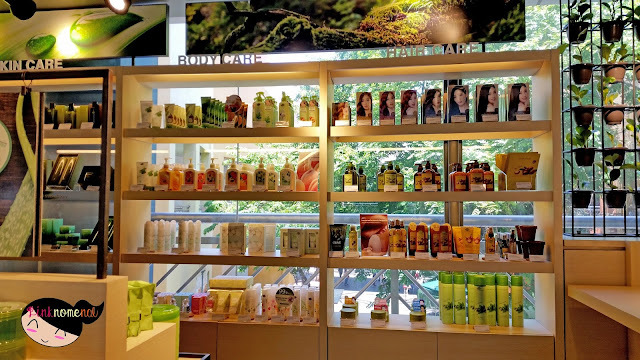 True to their brand concept, Journey To Nature, the store is dressed up in beautiful and relaxing nature-inspired theme. 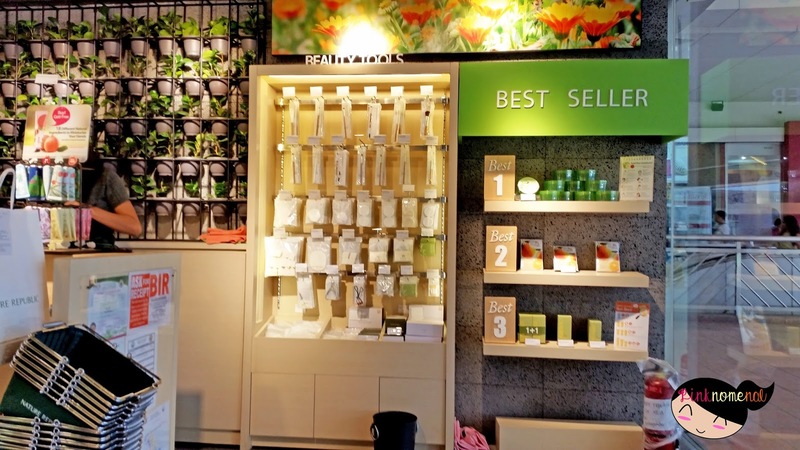 The first display that will greet you when you enter is their BEST SELLER. I think this is great for new customers who have no idea what to buy or are just looking around. Their best sellers are the safest picks to start your beauty hauling. 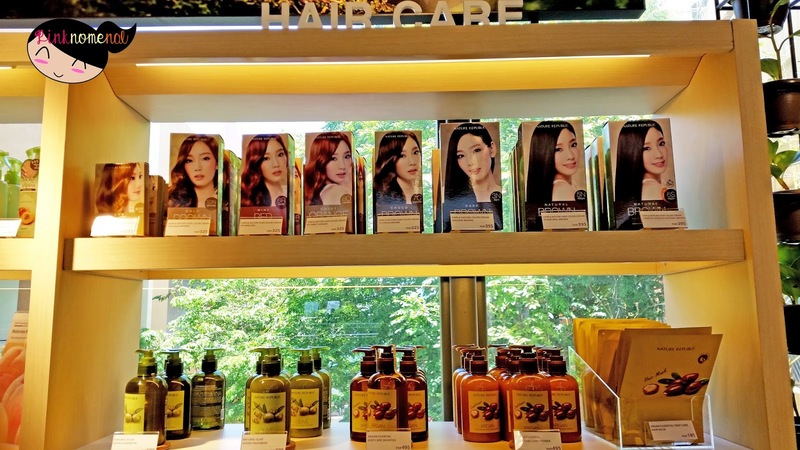 Neatly lined up in beautiful wooden shelves are the brand's hair products with Girls Generation's Taeyeon's face plastered all over. I can already imagine KPOP and SNSD fangirls and fanboys grabbing a box or two or more of these Taeyeon-labeled hair products! Besides hair products, Nature Republic also offers great items for treating our body. 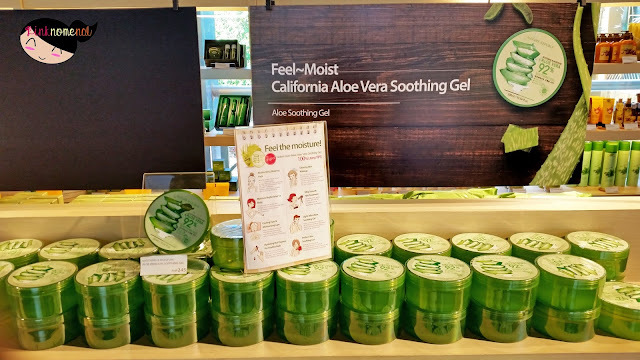 Among them are scrubs and lotions and of course, their best seller, the Aloe Vera 92% Soothing Gel. 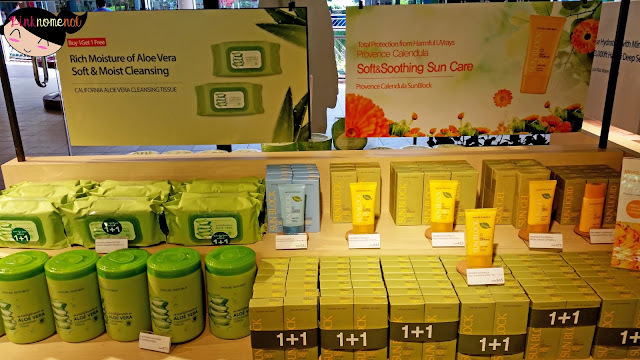 The brand prides itself in using organic and natural ingredients, with products that offer soothing and healing benefits to the skin like the Aloe Vera Cleansing Tissue, Provence Calendula Sunblock and Hydration creams which are very popular during this heated season. 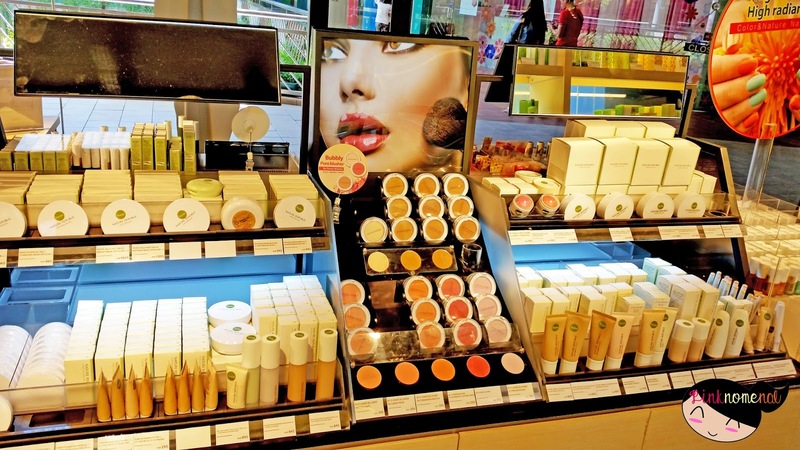 They also have a wide range of color make-up from eye to lip and cheek products. I haven't tried their foundation or BB Cream yet but I used one of their primers befor and didn't find it suited for my skin type. 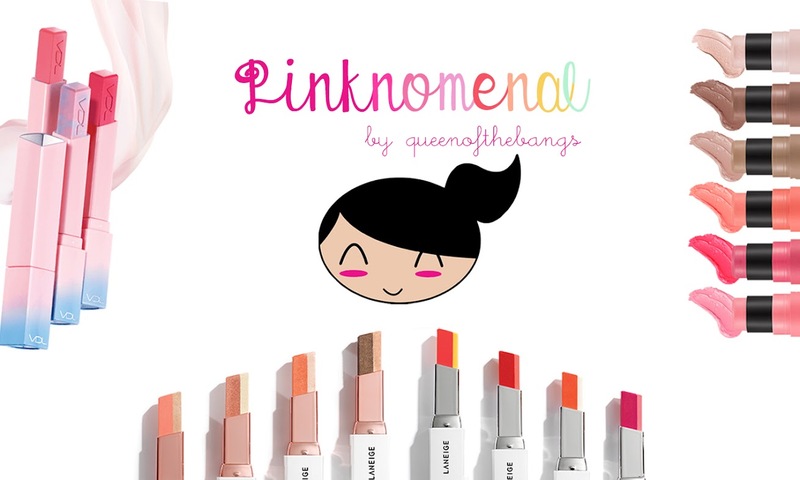 I'm in love with their lippies, however, especially their Botanical Lip Crayons. And here are some snaps of myself inside the store with my beauty haul. Will definitely come back for another round! I seldom buy beauty products because I don't know which is good for my skin or bagay ba. I'm afraid to buy something and regret it at the end so it is nice to know that they have best seller corner because this is a great help. Do you closer pictures of the Botanical Lip Crayons? I am so into lippies lately looking for one I would really really like. Now I'm interested to check out that store. 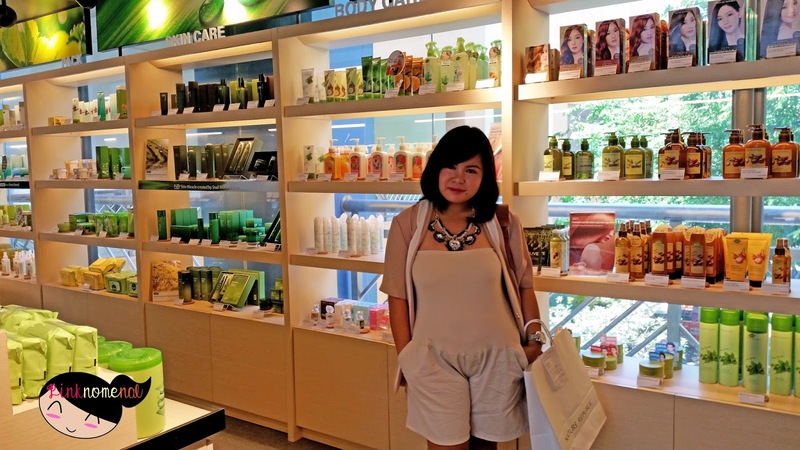 I'm a late-bloomer in beauty products but I noticed in my "research" that Korean beauty products are much preferred. I'm interested to check out their hair care products. I'm looking for safe and affordable hair colors. Titas of Manila na ang aura so I need to hide my hair "highlights"! Thanks for sharing! Your post intrigued me enough to check out their branches in the malls near my place. :) I hope their prices are also pocket-friendly. Di pa ako nakakagamit ng product nila but I'm hearing good reviews especially aloe vera soothing gel which is perfect mosturizer. Hopefully to try some of their products soon. Having a good customer service is a must in every store especially if it is just new. Korean beauty products are so in demand nowadays and Nature Republic made it organic. I should try their products. Yes, the word "organic" got me hooked. 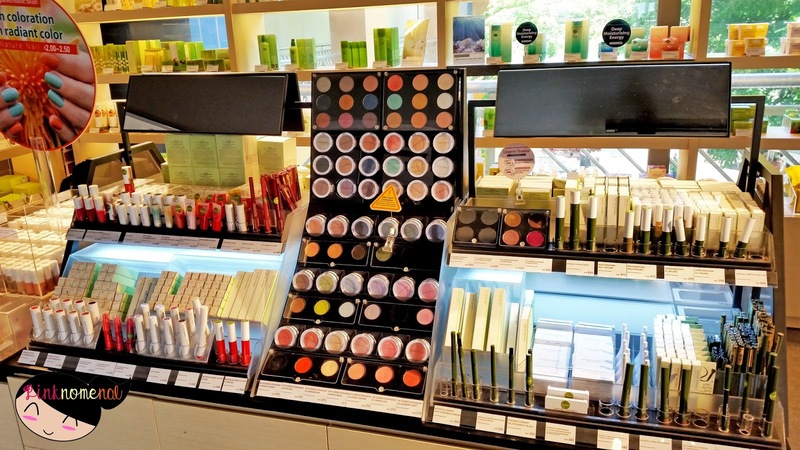 So hard to find reliable, organic make-up nowadays. 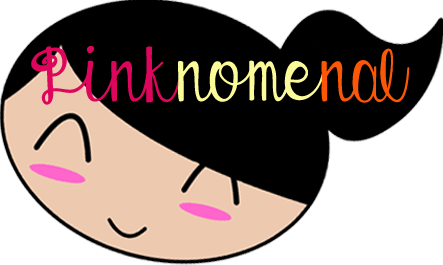 I've read such good reviews on Korean beauty products. How I wish I'm still using make-up as often as I used to. I do have to mention that I'm glad they have another shop (hopefully, nearer to you). Festival and North Edsa are from different poles! 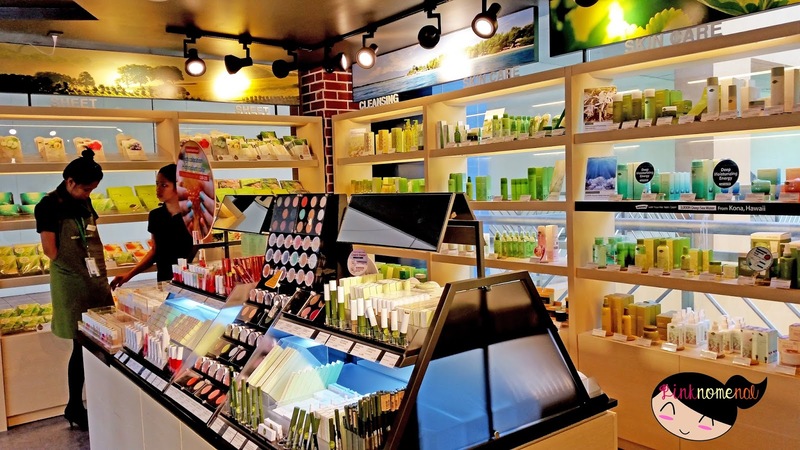 :) The store design looks so relaxing. The hair color is interesting though i have no plans of hiding my white highlights. But im really tempted na since these highlights are like recruiting my other hair strands and they are becoming big in number. What a lovely store, and I love that they're selling all-natural products. I'll surely check out Nature Republic on our next visit to SM MOA. Been seeing this when me and my fam hangs out at MOA. I am not very familiar with beauty products and I think visiting their shop the next time we go to MOA will somehow educate me. Thanks for sharing! 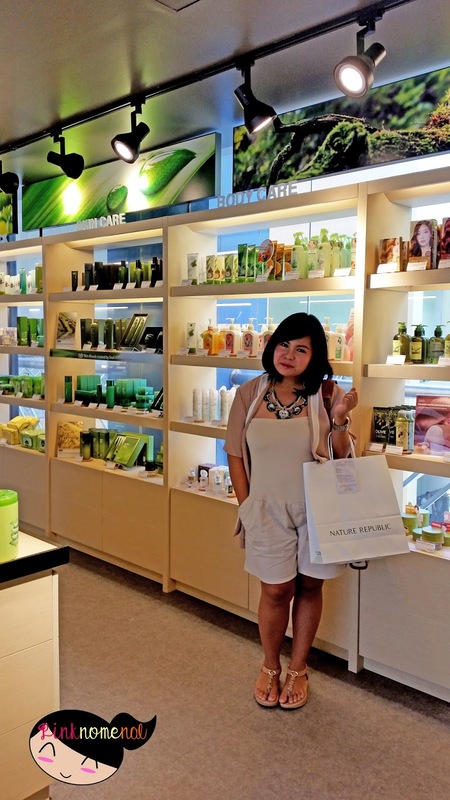 I've never tried Nature Republic before but I'm a big fan of Korean makeup and skincare products. Gotta try this one too! 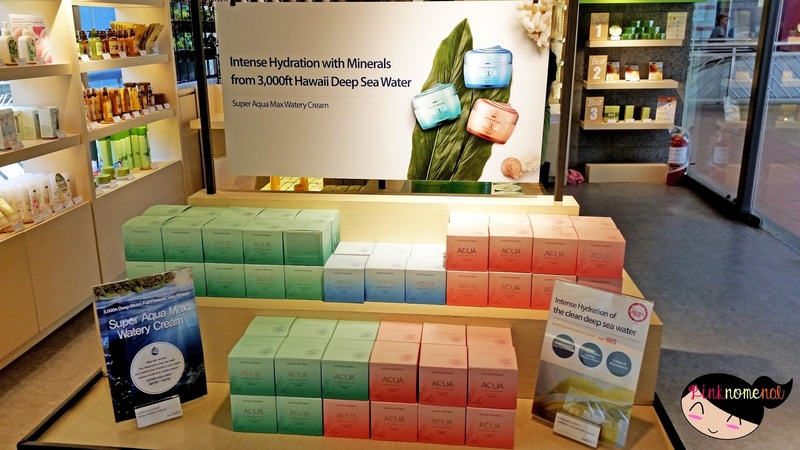 So happy to see Korean cosmetics and skin products in our market na. I've only tried the aloe gel from that brand though. I'm curious about the others. I should drop by sometime. I have tried items from Etude, Tony Moly and Laneige but haven't tried any at Nature Republic. That Aloe Vera tub looks interesting, will check them out soon. This is the first time I've hear of Nature Republic. I don't frequent SM Mall of Asia much but the next time I do, I'll check this out. I'm especially interested in their make up line. I've never been here but I'm curious to try their products! They look promising!